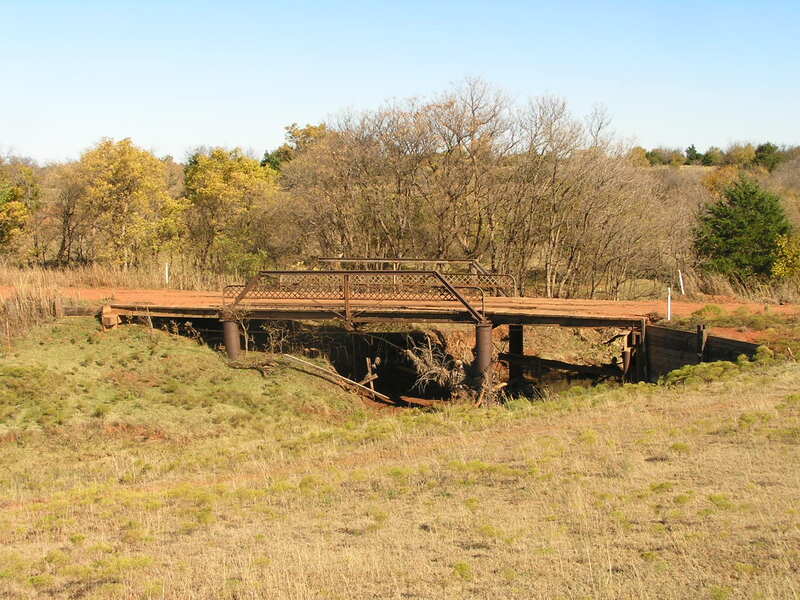 Branch Hackberry Creek Bridge, Garfield Co. 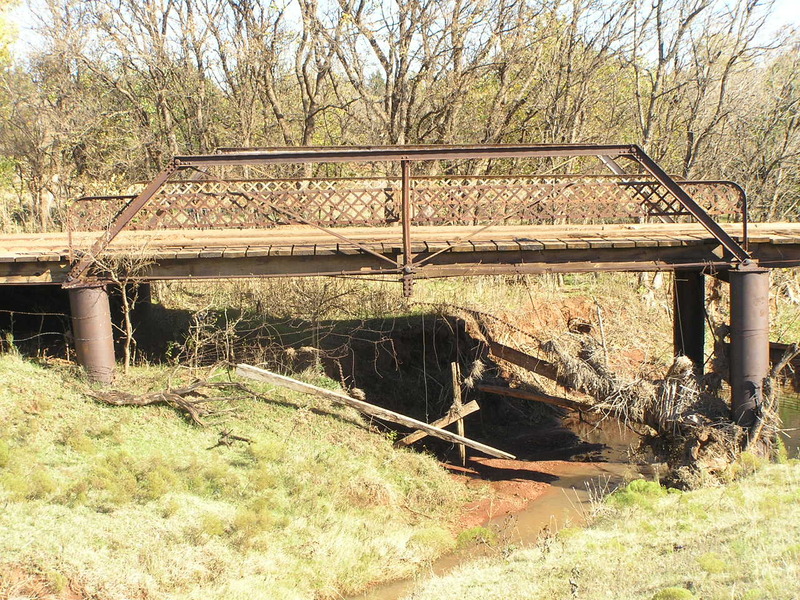 Built in 1906, this span demonstrates just how simple a truss span could be. 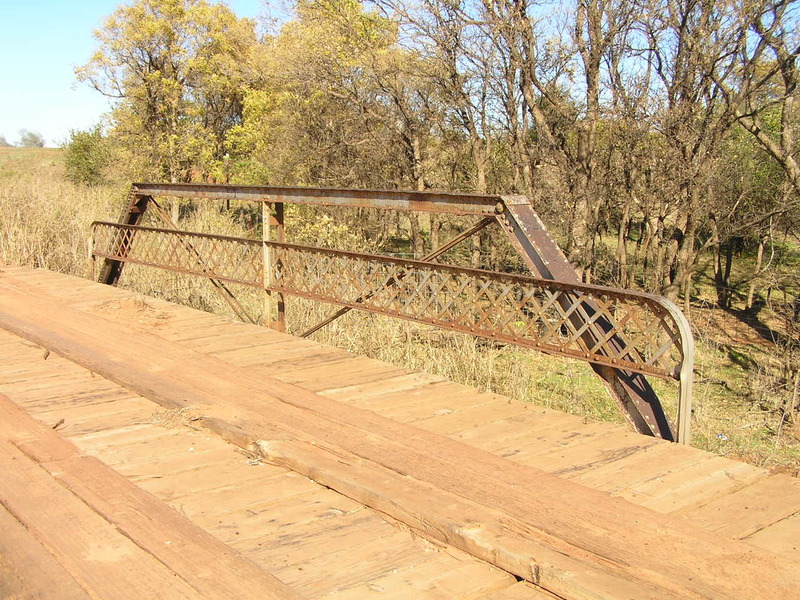 At 32 feet in length, the truss span is a 2-panel Pratt half-hip pony with pinned connection. The span stands on lally columns, which are riveted steel tubes full of concrete. Two flanking stringer approaches complete the structure's 62-foot length. Above, looking north thru the structure. The all-wood deck is 16 feet wide. Below, a side view. 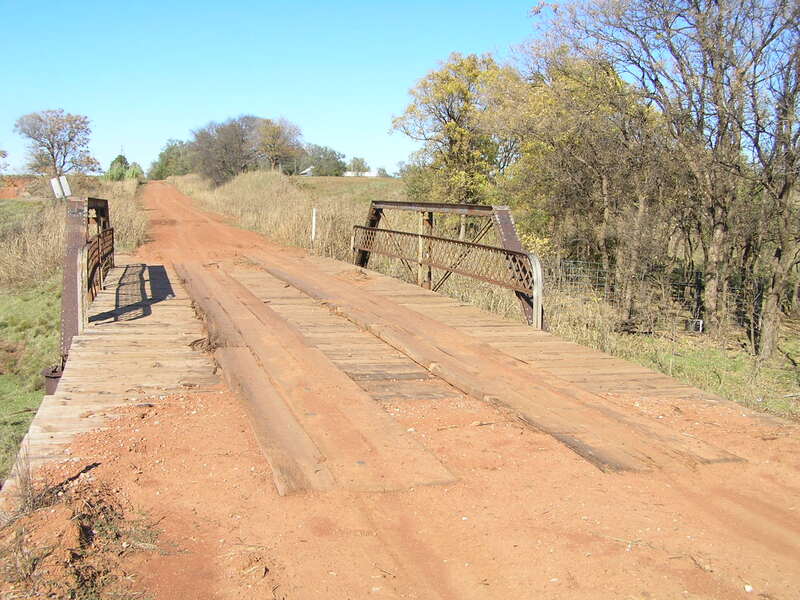 The stringers in the truss and approach spans are also wood. Above, deck view of truss. Note the safety railing is only on the truss span. Below, a side view showing the entire structure.